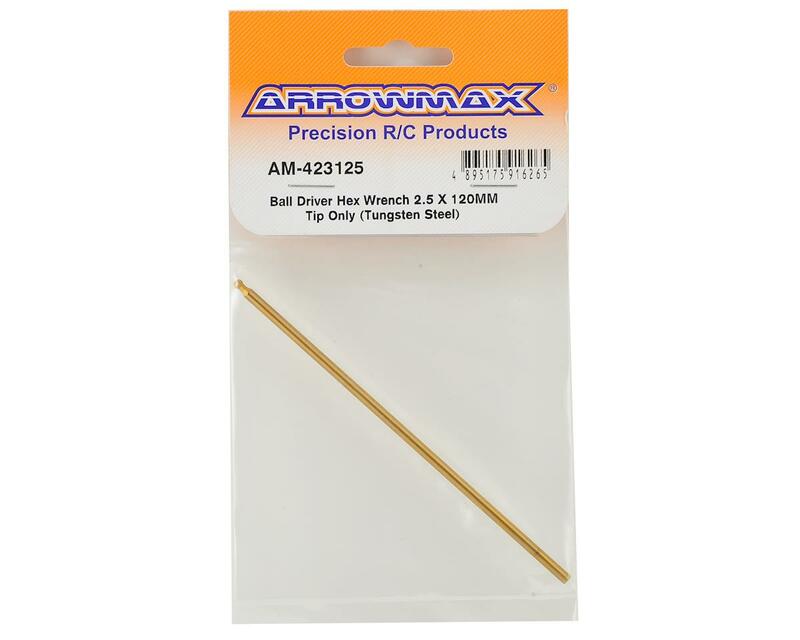 Arrowmax Tungsten Steel Replacement Ball End Hex Wrench Tip. This tip is machined from tungsten steel and has been ti-nitride coated for durability. 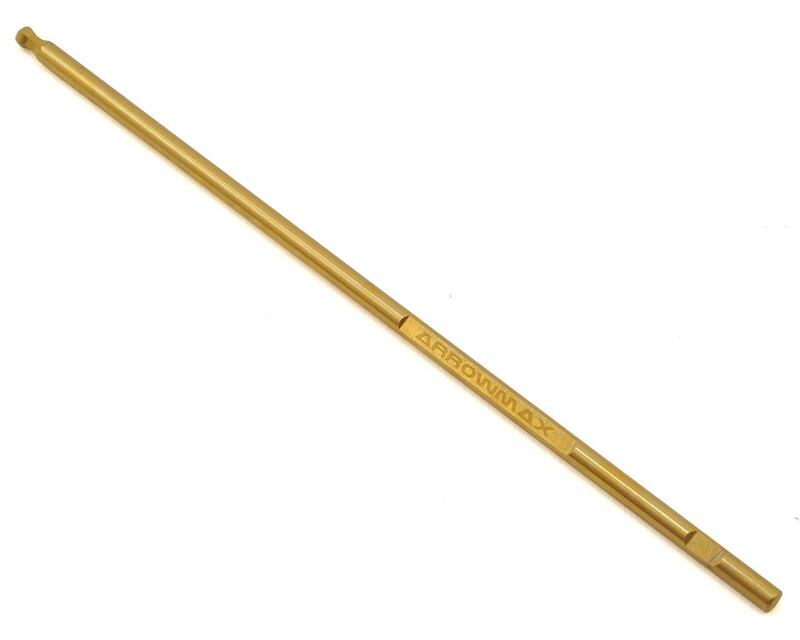 Tip features a 120mm long shaft, with a 2.5mm ball tip.